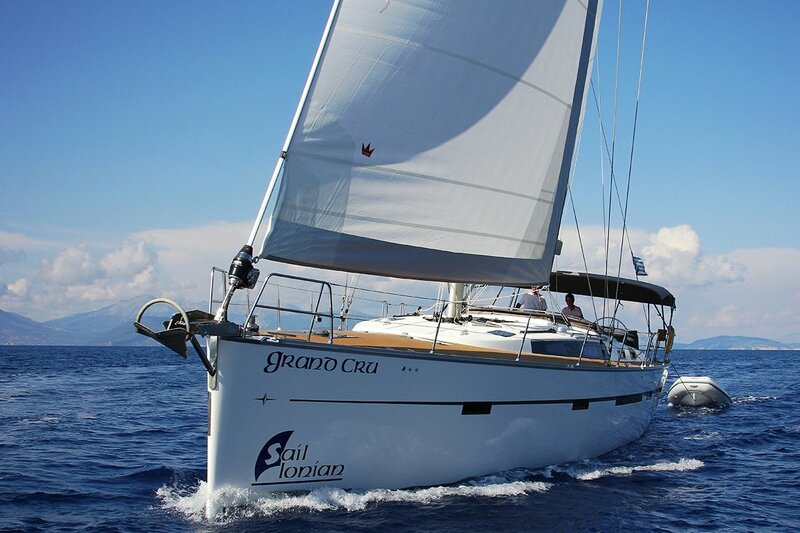 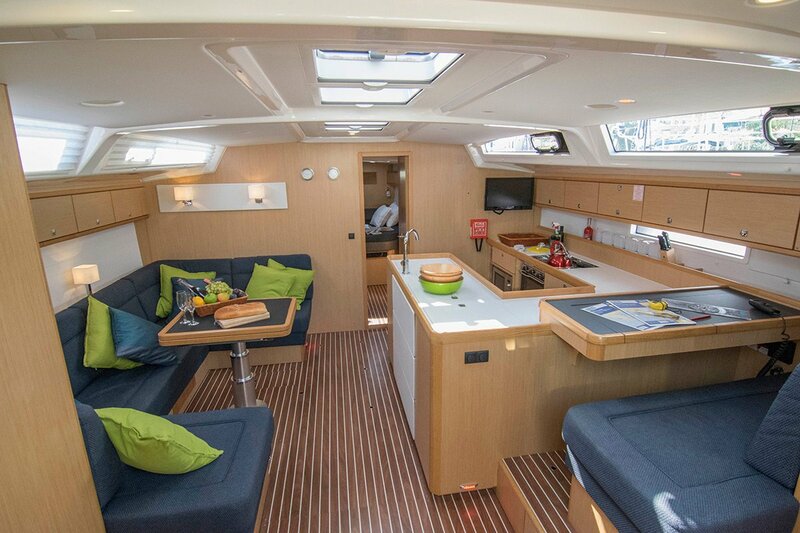 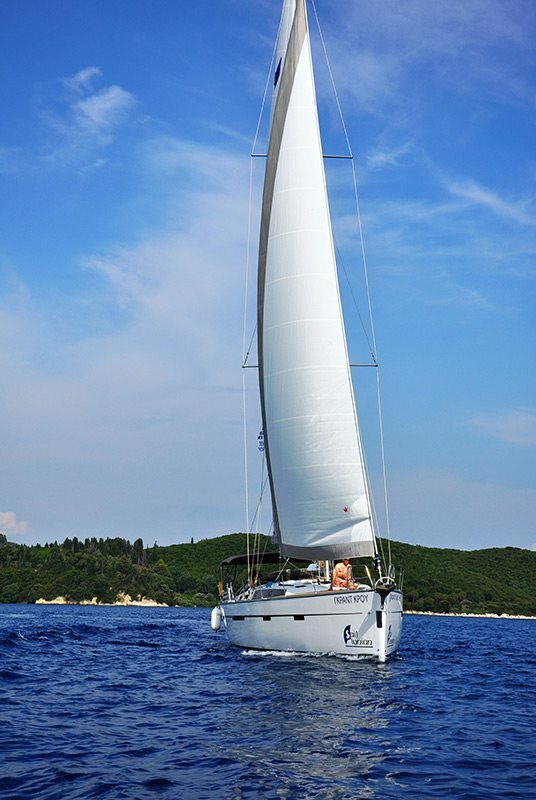 Our Bavaria 56 Cruiser is the perfect luxury yacht with great sailing potential. 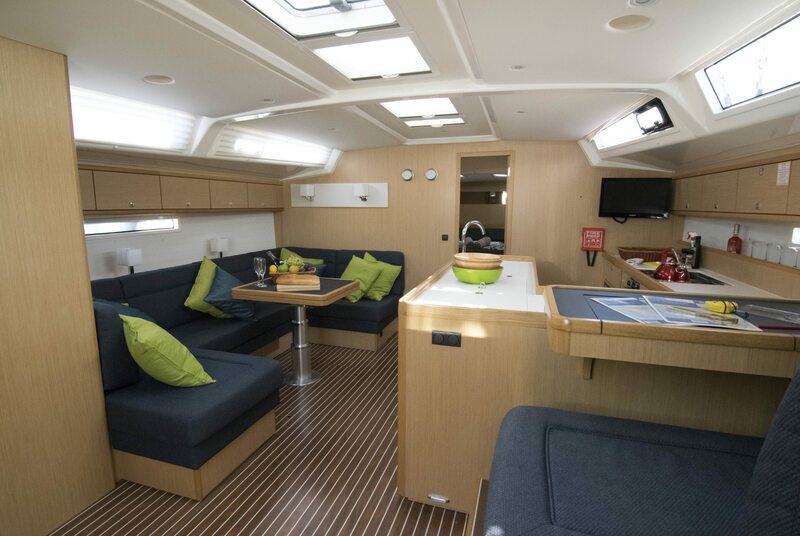 There is generous cockpit and sunbathing space, air conditioning below deck, underwater lighting and a cockpit fridge. 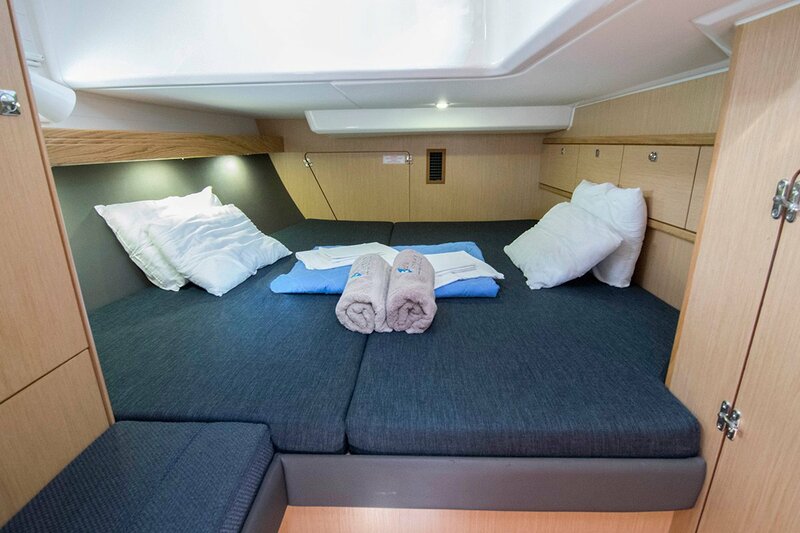 She sleeps 8 guests in 3 double cabins, and a bunk cabin and has 2 large heads. 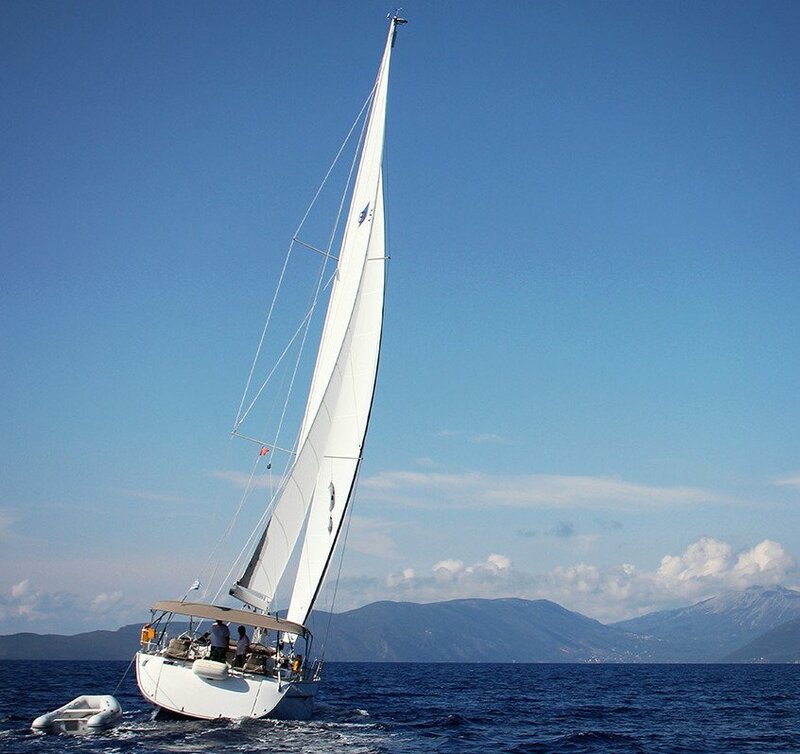 There is also a skippers berth, private from the rest of the yacht for those who want a skippered charter – a real indulgent and relaxing sailing holiday! 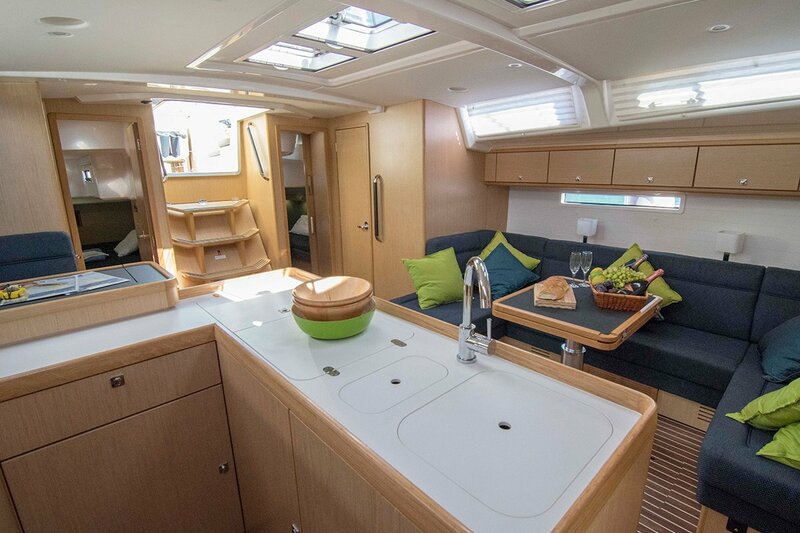 This yacht is available for charter until mid-July 2019. 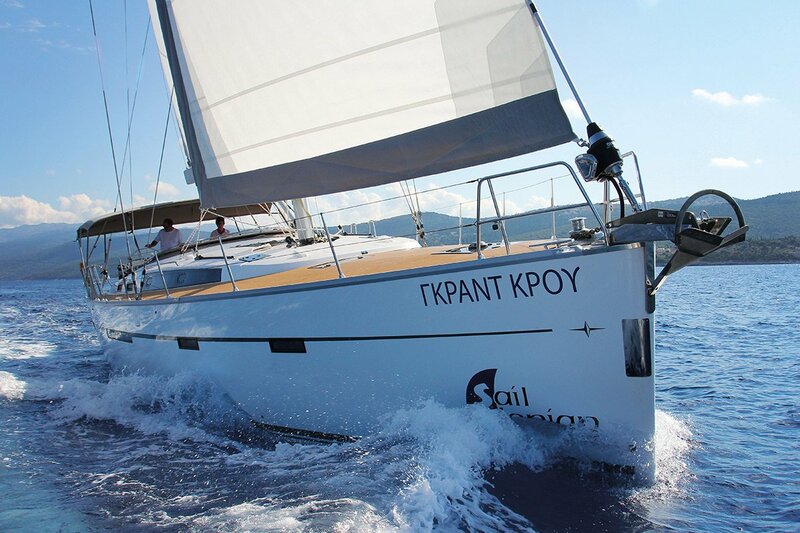 The accommodation is divided into 6 berths in 3 double cabins OR 2 double cabins and a 2 single cabin. 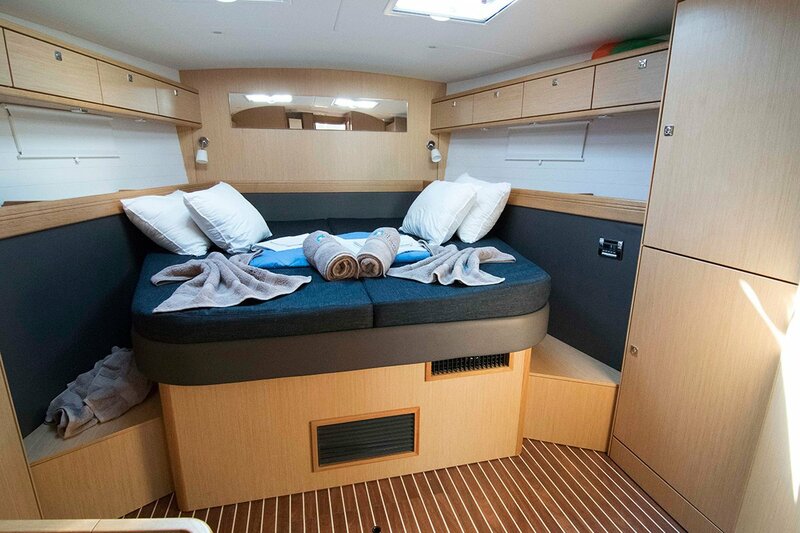 ALSO 2 bunk cabin with an additional double berth available in the saloon combination.